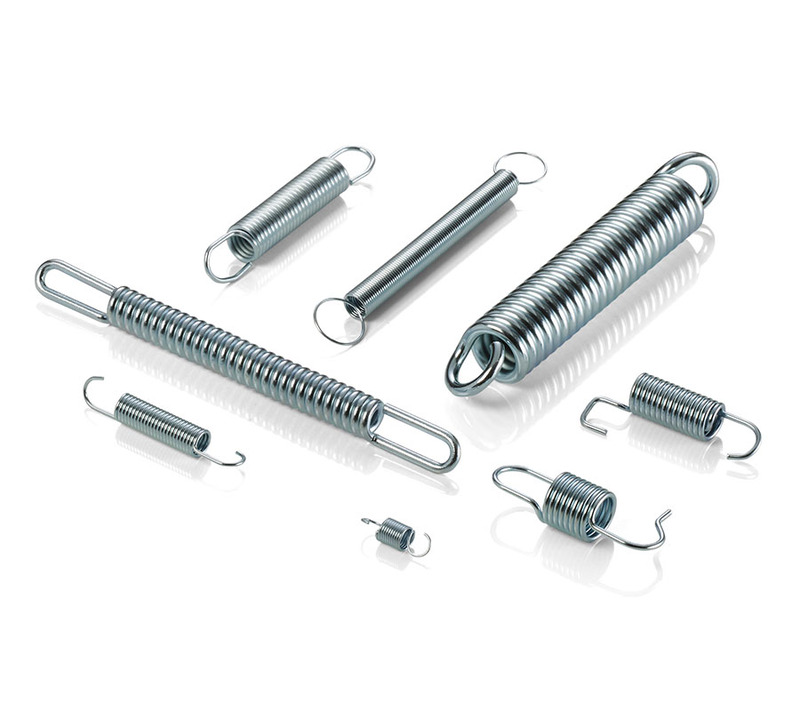 Extension springs for a multitude of technical applications according to your drawings and specification or based on our spring design optimised to your requirements. Cylindrical, double cone shaped and barrel-shaped spring bellows and custom shapes. We also offer proven solutions for baffled relief (noise reduction), e.g. pipe sheaths, felt plugs, wire loops inside the spring bellow etc. For eyelet shapes in accordance with DIN EN 13906-2 (DIN 2097), we use a special automatic coiling machine for extension springs, while our universal automatic coiling machine facilitates eyelet production in a great range of special shapes. All extension springs are 100% tested on the spring coiling machine (largely with camera system).